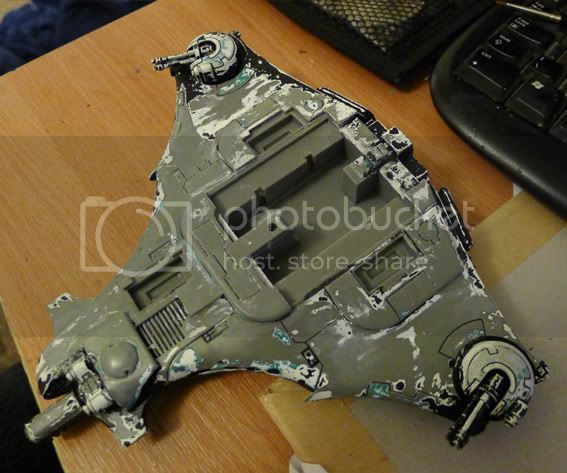 I have an old armorcast resin model that I wish to paint strip. It was originally paint with car spray paint and GW acrylics. 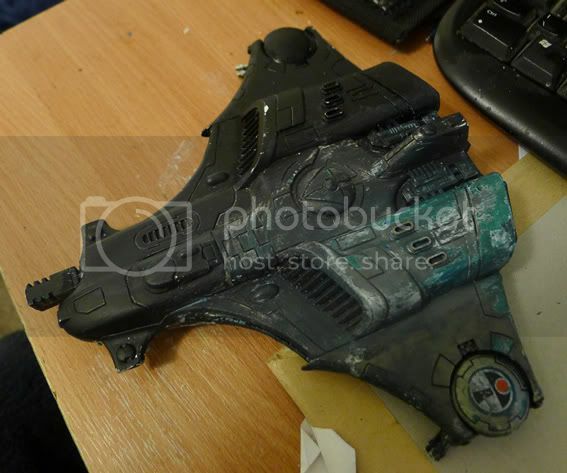 Before i go buy the last 2 any of you have any super tips for budging old (car) paint with out melding the resin? Don't use methylated spirits (what I've generally used for metal models, purely because I have it on hand)- it softens the resin (although the resin does eventually re-harden, handling the softened resin damages it). The enamel car paint is going to be hard to remove. Do you really need to if you've got the acrylic coats off? mangozac wrote: The enamel car paint is going to be hard to remove. Do you really need to if you've got the acrylic coats off? My test piece Has been sat in simple green for 30hrs now and the car paint has started to soften with not ill effects to the resin. So I've dumped the rest in to a big tub simple green and I'll leave it a week going back every day to agitate the surface with a bristle brush. so the results are the simple green works on car paint and doesn't hurt the resin. But does require allot of scrubbing. Places where the over spray is heavy needed scraping to allow the simple green to work. I also bought some dental picks to scrap out the recesses where my brush couldn't reach. I think your primer is an exception though Zac. I soaked that SC you'd hit with it in concentrated Simple Green for a few days and didn't have much luck getting it off. Finally just primed over it. Nah, no detail lost. If I ever manage to get finished painting them I'll post the pics. They've been on my table since the beginning of the month and I've only got 1 of 5 through the first round of high lights to the hull color. If you're in the U.K. straight up Dettol (plus you can slip it on the shopping list and get it in under the radar ), simple green is a nightmare to get hold of over here, unless you wanna fork out loads on P&P. Dettol is the dogs, between 1-3 days covered and in a jam jar and you'll see the paint start to lift off. Toothbrush and washing up liquid off that which doesn't just lift off. Fairy Power Spray is meant to be amazing. Just a few minutes soak! Fleafa wrote: Fairy Power Spray is meant to be amazing. Just a few minutes soak! With any luck Asda'll still have for it £2 next week, tescos is on offer til tomorrow £2.50 (shopping on thursday! ), i need to strip a few bits for headswops, so i'll give it a go. Bought some Fairy Power Spray today and it is incredible! Starts working instantly but needs about 20mins to do the job. I just sprayed the (plastic) model and left it for a while. Came back and cleaned it with some carry-case foam (I was in the middle of a game!) and all the paint bar that in the deep recesses came right off. For £2.50 at Tesco (ugh, I hate that I gave them my money) I consider it a huge win. Thats awesome. So it's good for Plastics and Reisn? This could be my new favourite product.